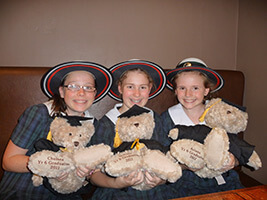 personalised teddy bears, including My Graduation Teddy™. 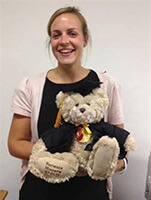 My Graduation Teddy™ is a wonderful appreciation of a very special event – whether your special someone is moving on from primary school, high school or finally finishing a university degree – My Graduation Teddy™ is a fitting celebration of their achievement. The personalised message can include the name and date of graduation and/or the school or university – it’s up to you. There are three lines for embroidery, and you can fit 15 characters (including spaces) on each line. 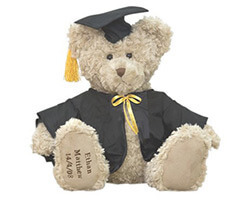 Click here to order a My Graduation Teddy™ now. If you are interested in a group booking for a school, please contact kate@mybirthdayteddy.com.au to receive the group booking discount.